After we head out of downtown White Plains, we’ll come to a roundabout at the north end of the Bronx River. Keep right to follow 22 north. 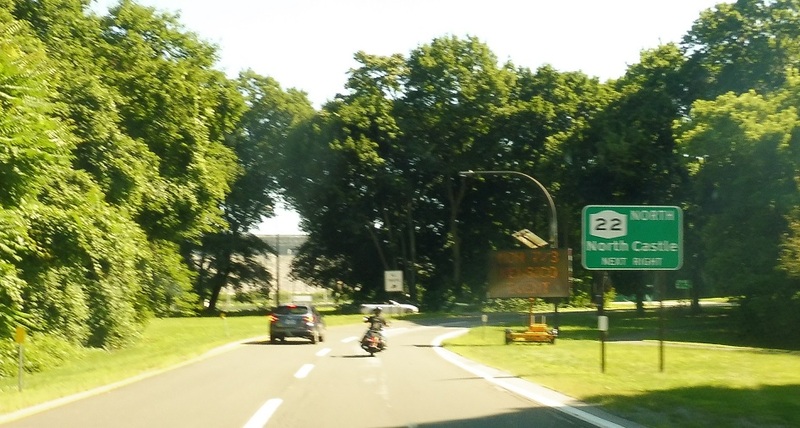 Keep left to merge onto NY 22. 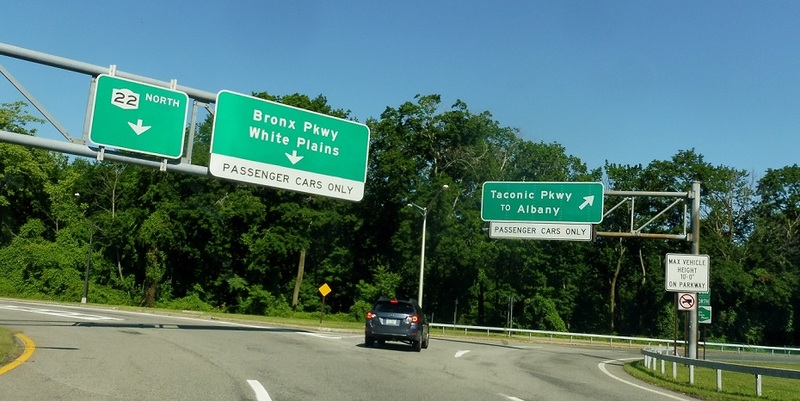 Keep left to get to the Taconic. 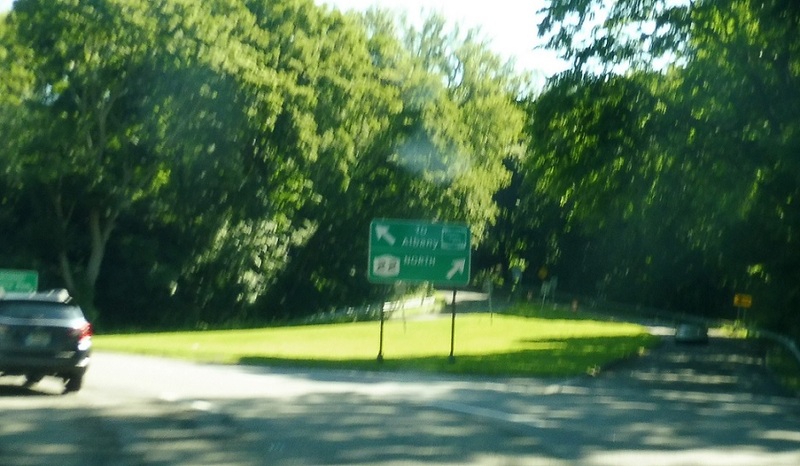 Keep right for the Taconic State Parkway up to Albany. Keep left to go back around the roundabout. There is no access to 22 south from here.